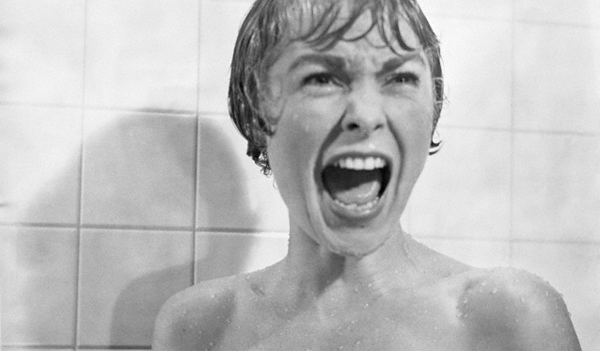 Being Retro: PSYCHO - SHOWER SCENE! According to the book “Psycho in the Shower: The History of Cinema’s Most Famous Scene,” author Philip Skerry says that Hitchcock said in an interview that the movie’s careful plot and character development plodded along “to lead an audience completely up the garden path. They [viewers] thought the story was about a girl who stole $40,000. This was deliberate." The scene was a rousing success at the box office, but caused trouble for American households. An angry father once sent Hitchcock a letter saying that his daughter had refused to take a bath after seeing the 1955 movie, "Diabolique," and after seeing "Psycho," defied his orders to shower. Hitchcock replied to the man with a letter saying, "Send her to the dry cleaners," according to IMDb. Janet Leigh said that upon seeing the shower scene so many times, she has interpreted it as a baptism of sorts. "There's a light, almost an ethereal light, a heavenly light on Marion," she told the New York Times in a 1995 interview. "It was like she was being purified. Cleansed. The water -- it was like she was being baptized. She was cleaning not only her body but also the inner dirt. And this made the attack even more horrible." "I stopped taking showers and I take baths, only baths," she told the Times. She said then that even staying at a friend's house or in a hotel was unsettling to her. "I make sure the doors and windows of the house are locked," she said, "and I leave the bathroom door open and shower curtain open. I'm always facing the door, watching, no matter where the shower head is." Hitchcock enlisted composer Bernard Herrmann to write the film's score, but originally wanted the shower scene to be without music. Herrmann defied him and once he heard the piercing strings and screeching climax, Hitchcock gladly accepted it. He also nearly doubled Herrmann's pay. David Raksin, a colleague of the composer, is quoted as saying: "Remarkable composer that he was, [Herrmann] was that despite a rudimentary sense of melody, which he sought to remedy by repeating short phrases in sequences -- meaning that he would state a brief musical phrase and then repeat it, and repeat it again and again in other positions." The shower scene's music was voted in 2009 as "scariest movie theme of all time" in a PRS for Music survey. It beat the theme from "The Omen". Great account of one of the most famous scenes in film history. I never stopped showering, but I did so with quite a lot of fear. Fascinating stuff Jeremy. I had no idea it affected Janet Leigh so much.